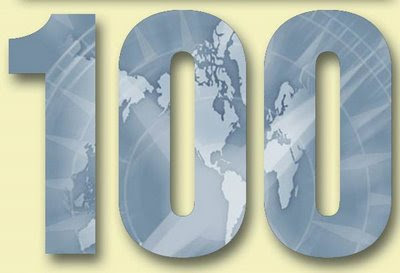 I was notified the other day that Blogalicious has been included in a just-posted list of the Top 100 Poetry Blogs. Yay, for Blogalicious! The list is prefaced by this note: "No longer relegated to textbooks, libraries, and anthologies, poets now have an array of options for reading poetry, posting, the latest in news, and more, thanks to the internet. Below are 100 blogs and sites for every poet, from a seasoned professional to a child reading their first poem." The list is then divided into four sections: Collected Works, Original Work, For Children, and Video and Audio Poetry. 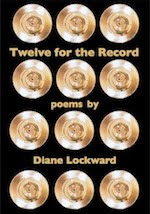 Collected Works, the largest of the four sections, includes Blogalicious and Harriet: The Blog, Poets (Academy of American Poetry), The Best American Poetry, The Best Words in Their Best Order (The Farrar Straus and Giroux poetry blog), and 42 others. Original Work includes blogs whose keepers post their own work along with other items of interest. Such bloggers include Sandra Beasley, Greg Rappleye, and Mark Doty. For Children includes blogs that are geared towards young poets. I suspect that teachers might find these blogs very useful. Some of those included are Chicken Spaghetti, Jack Prelutsky, and Barking Spiders: Poetry for Children. Video and Audio includes blogs where you can find poetry read by poets and lovers of poetry. Poets old and new are included. I'm bookmarking this site and plan to revisit often. Congratulations! And thank you for your posts. This is a good list, thank you and congratulations! Well done friend.Keep giving good info. Wow, that's exciting to make the list, congratulations. I'm happy when my poetry blog gets 2 visitors in a single day, so it must be great to see your poetry being read so widely online. Hey, I've just opened a new site: http://www.a-poem-a-day.co.nr where the idea is that I write a new poem everyday, for as long as possible! I was hoping to get feedback, and possibly suggestions on what I can do to improve my poetry, and would really appreciate your help! And even if you don't want to comment, I'd love for you to read my poetry! My name is CJ Heck and I'm a published children's author. I love your blog! You have much here to interest all, even the most casual poetry lover. I also have a blog and would love to have you visit. 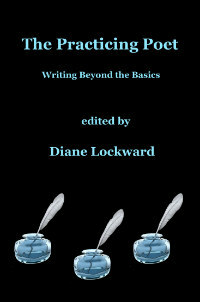 It's dedicated to poetry, self-promotion, writing, and essays on children and childhood. I just started a blog with poetry, quotes, Scripture and other inspirations. Thanks, John, for the kudos about my poems. Good luck with your own work and your blog. I just took a quick look at your blog. I think it looks great. I'd keep a balance between the poems and some poetry talk. You might also want to add a Blog Roll as that tends to increase your traffic and bring you into the community of poetry bloggers. You work is truely inspiring. I love writing poetry and living in northern ireland it seems a bit odd, but I truely love your work, i just wish i could see more of it. My site- daviespoetry.blogspot.com - is closing on on its 100th poem so i feel like a veteran, then i read your work and it brongs me back down to earth. You are a true creationist and I love your work. Someday I hope to have a poetry blog as good as yours!